The State Quarters are America’s most popular coins – but few people will ever have the chance to own the fabulous set of coins that are richly colorized to enhance the historic designs. The State Quarters program started in 1999. 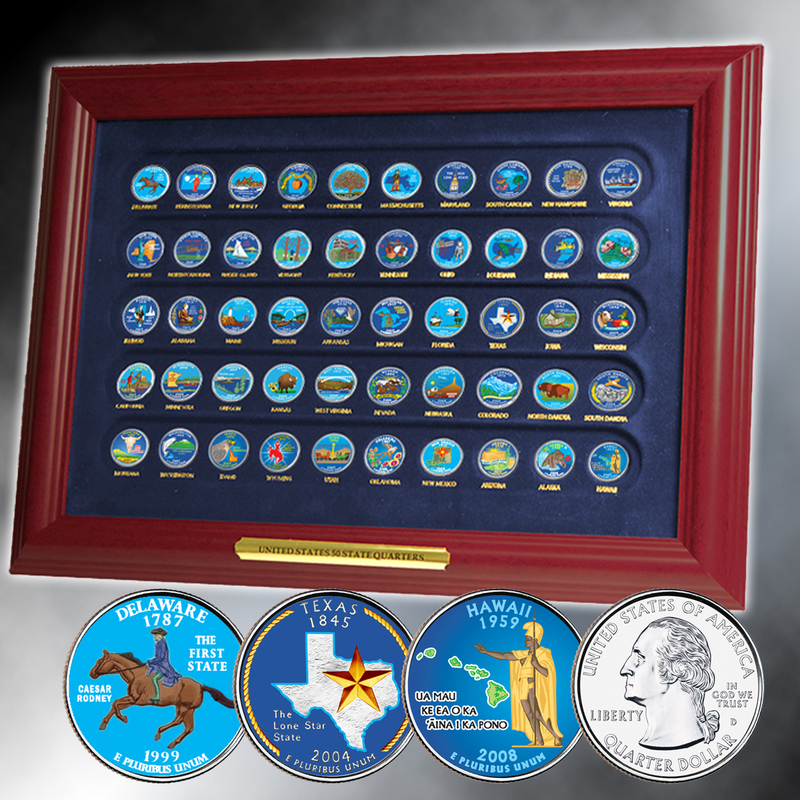 Each year, five different states were honored on their unique State Quarters. The order of issue is the order in which the states joined the Union. Each coin was struck for only about 10 weeks and can never be made again. 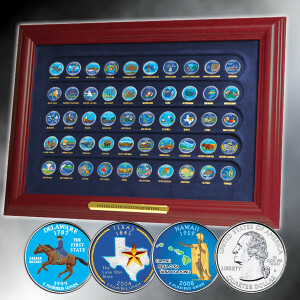 The collection includes all 56 State Quarters - including the 2009 District of Columbia and 5 U.S. Territories.